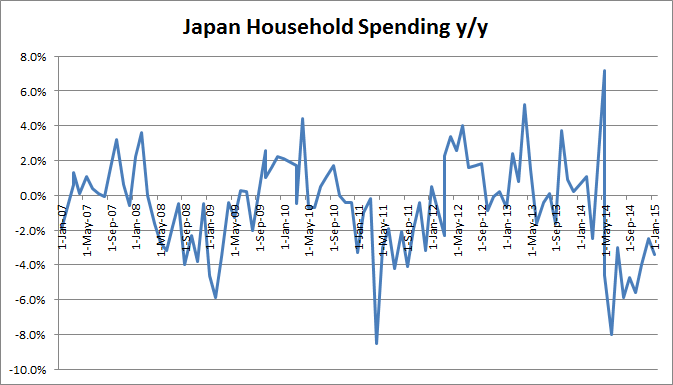 Japanese Household Spending y/y data did not show any indication of impending inflation, which is coveted by the Bank of Japan to restart its moribund economy. It came at -3.4% below the forecast of -2.3%. Tokyo Core CPI y/y for January was 2.2%. The National Core CPI y/y for December was 2.5%. Tokyo number is released almost a month before the national number and it gives an indication of the latter. January’s Tokyo Core CPI was in line but the national number missed the estimates. The Preliminary Industrial Production m/m for December was +1.0%. this was below the forecast of +1.3%. The Housing Starts y/y declined by -14.7% versus the forecast of -14.6%. The unemployment rate came at 3.4%. better than the forecast of 3.5%. 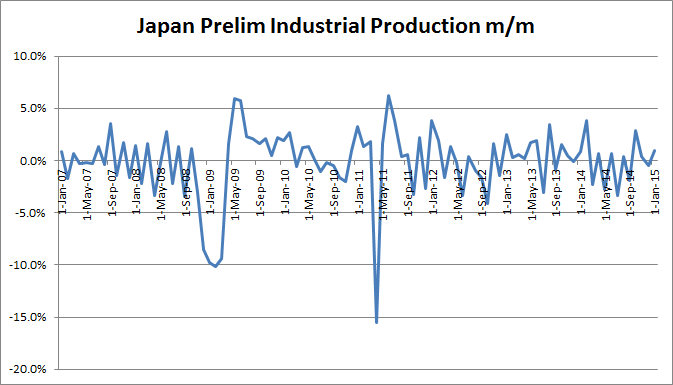 Taken together, the data does not paint a good picture of the efforts by BoJ to re-inflate the economy. Seems like more needs to be done. 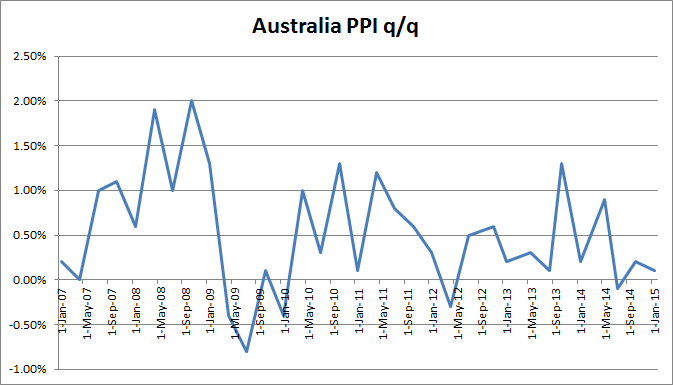 with Australia’s PPI q/q numbers came at +0.1%, below the expectations of +0.3%. PPI y/y was at +1.1% and the Private Sector Credit m/m expanded inline by +0.5%. Swiss KOF Economic Barometer stood at 97.0, better than the estimates of 95.8. This is a composite of 219 economic indicators and is designed to predict the direction of the economy over the next six months. However, it almost, certainly would not have included the impact of SNB euro-peg removal. German Retail Sales m/m came at +0.2% below the forecast of +0.4%. But there were some good news from Spain. Spanish GDP q/q grew by +0.7% versus the expectation of +0.6%. Spain’s CPI was also better at -1.4% versus the forecast of -1.5%. Things are not as bad as experts were predicting but not good either. 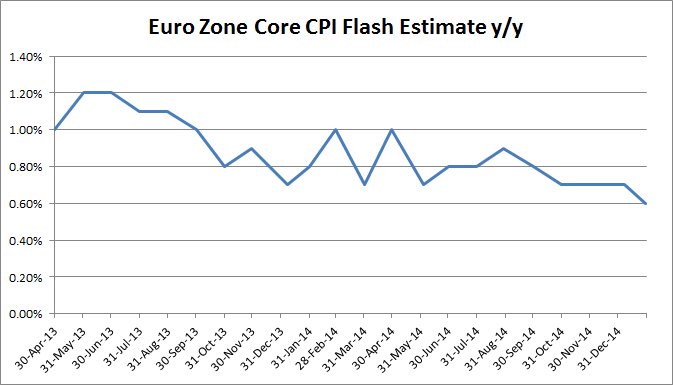 Euro Zone’s CPI Core CPI Flash Estimates y/y came in-line at +0.6% but the headline numbers missed at -0.6%. EZ’s Unemployment Rate improved a tick to 11.4%. 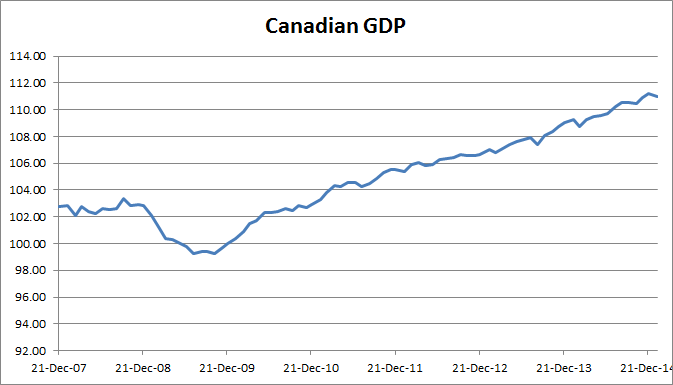 On Friday, January 30, Canada announced m/m GDP growth (actually a contraction) of -0.2%. The y/y growth rate comes out to be 1.6%. The Canadian GDP has risen above the pre-crisis level but it still has not achieved the pre-crisis trajectory (not shown in the graph). On Friday, U.S.A. announced its Advanced GDP q/q growth rate. The actual number was 2.6% versus the forecast of 3.0% and last quarter’s 5.0%. The U.S. Advance GDP Price Index q/q came at 0.0% versus forecast of +0.9%. This is the annualized change in price of all goods and services included in GDP. The report shows disinflation if not deflation.